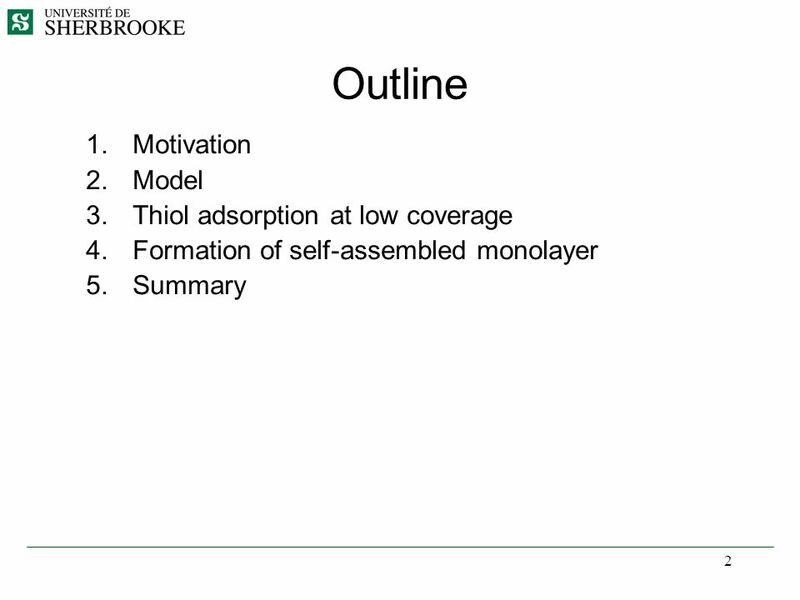 Ab-initio study of self-assembled monolayers of thiols on (001) GaAs O. Voznyy, J.J. Dubowski Department of Electrical and Computer Engineering Research. 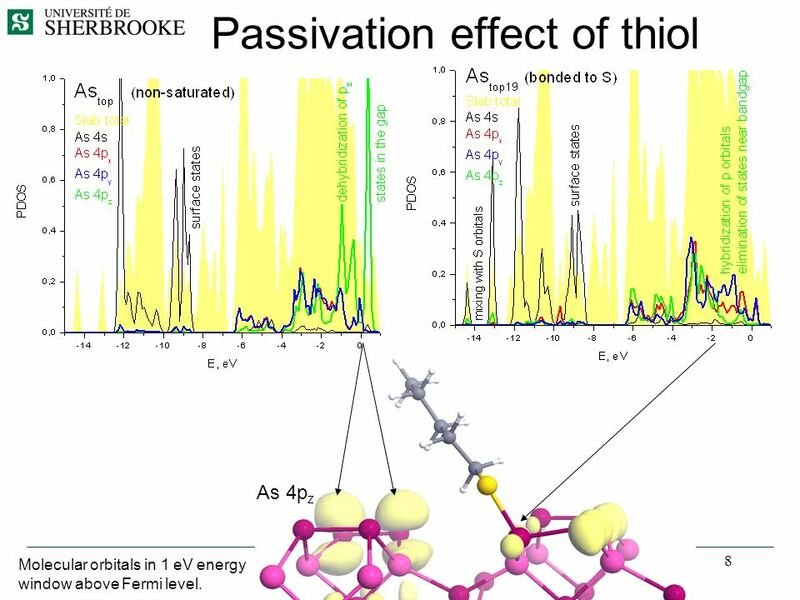 8 8 Passivation effect of thiol As 4p z Molecular orbitals in 1 eV energy window above Fermi level. 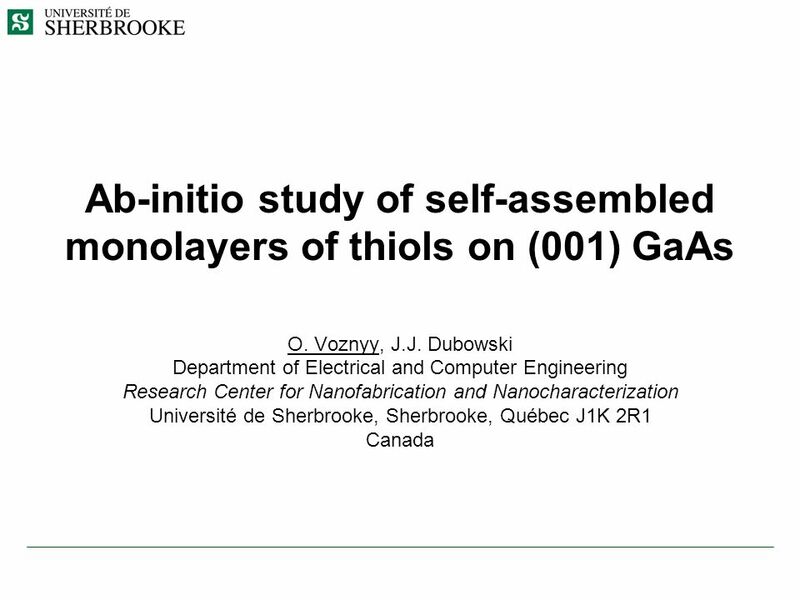 Download ppt "Ab-initio study of self-assembled monolayers of thiols on (001) GaAs O. Voznyy, J.J. Dubowski Department of Electrical and Computer Engineering Research." 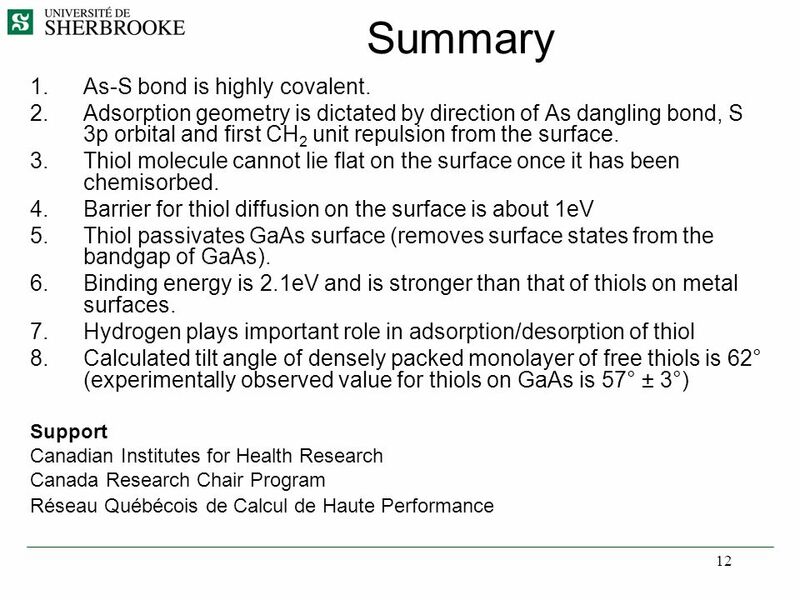 1 Applied Physics And Chemistry Covalent bonding. Electric Charge What are the different kinds of electric charge? 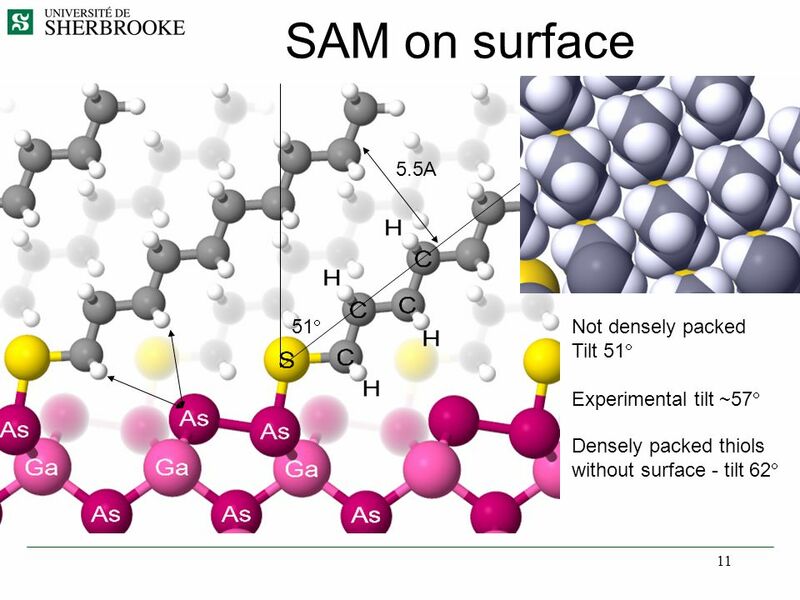 Water Molecules on Carbon Surfaces George Darling Surface Science Research Centre Department of Chemistry The University of Liverpool. 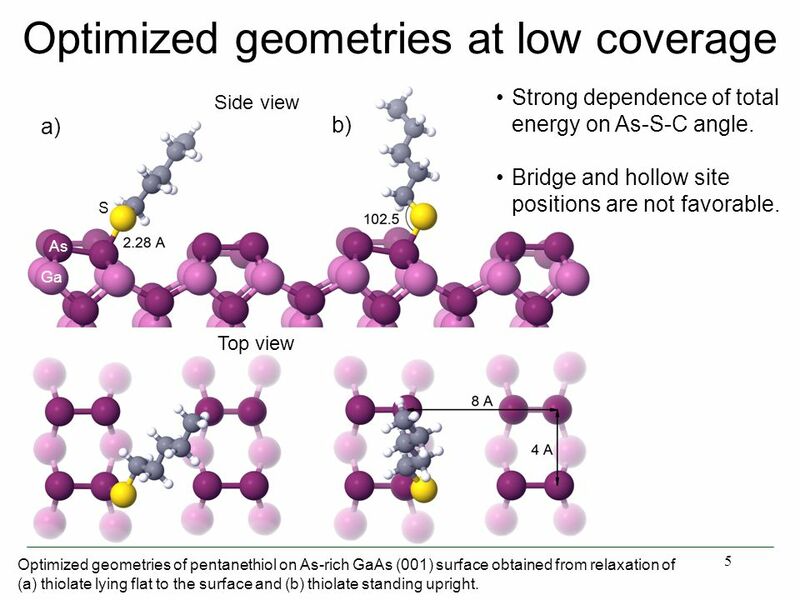 motivation Dynamics of spin-triplet and spin-singlet O 2 on clean Ag(100) surfaceson clean Ag(100) surfaces M. AlducinM. Alducin H. F. BusnengoH. F. Busnengo. 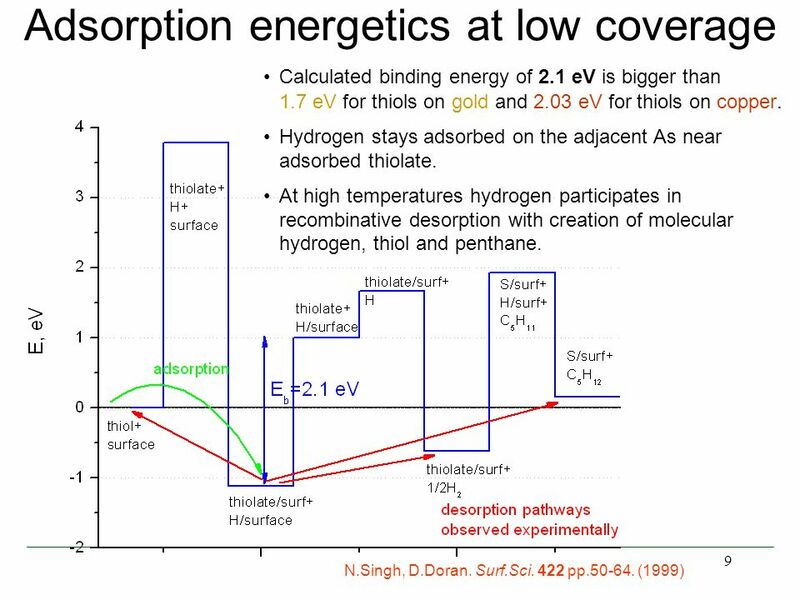 Lecture 14: Special interactions. 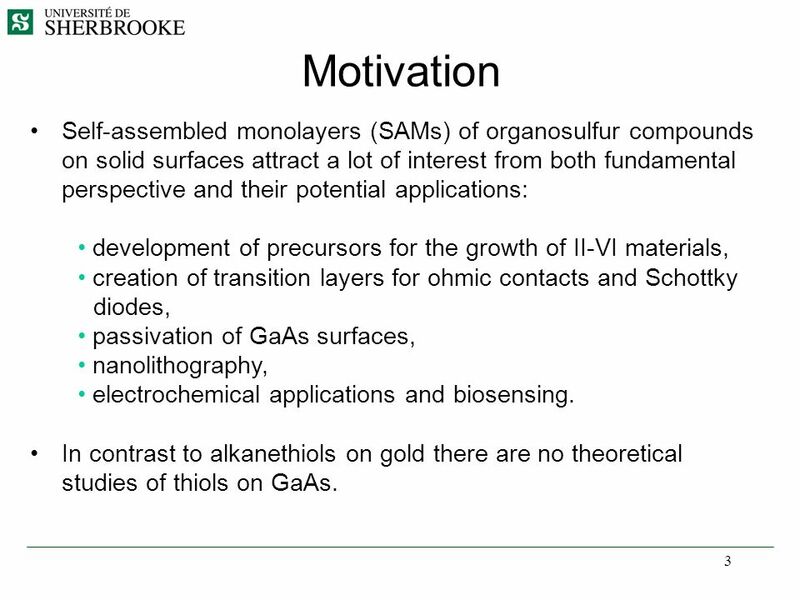 What did we cover in the last lecture? Restricted motion of molecules near a surface results in a repulsive force which. 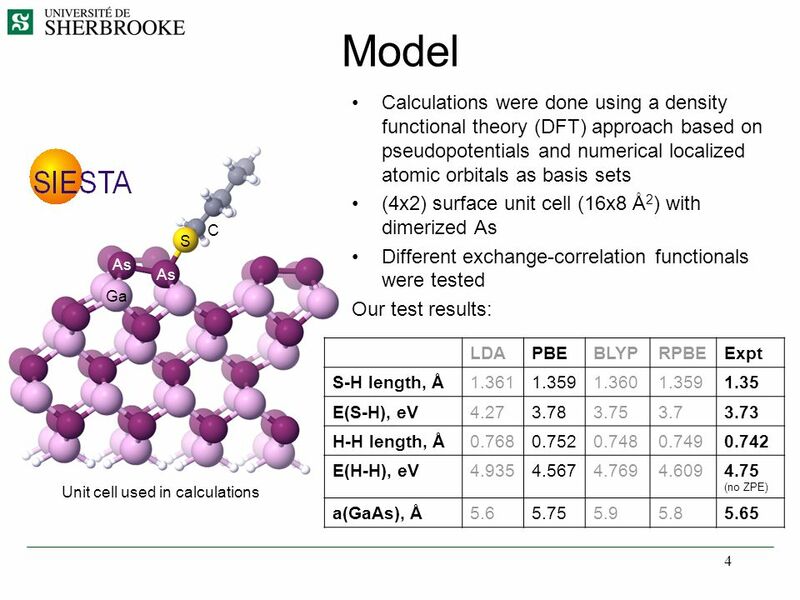 An ab-initio Study of the Growth and the Field Emission of CNTs : Nitrogen Effect Hyo-Shin Ahn §, Tae-Young Kim §, Seungwu Han †, Doh-Yeon Kim § and Kwang-Ryeol. Bonding. 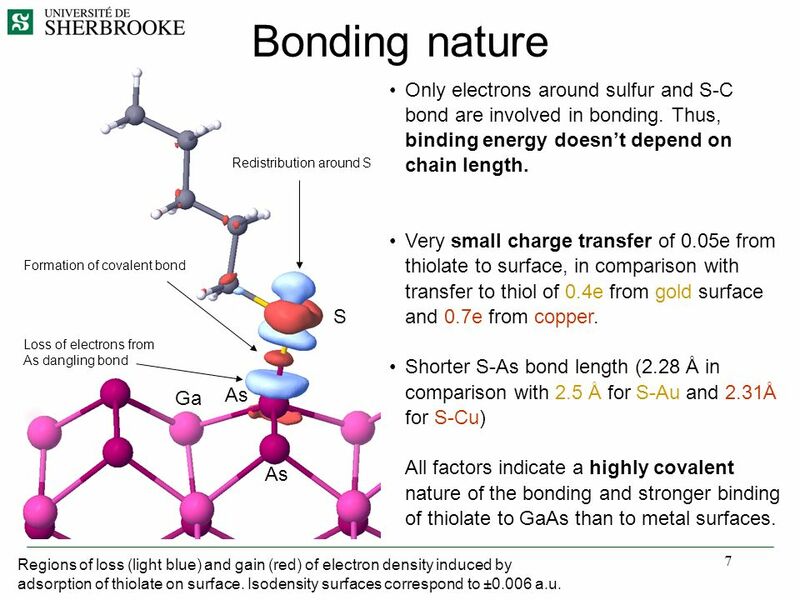 Metallic Bonding –In a liquid or solid state, metals readily give up electrons –When only other metal atoms are around, electrons are not accepted. 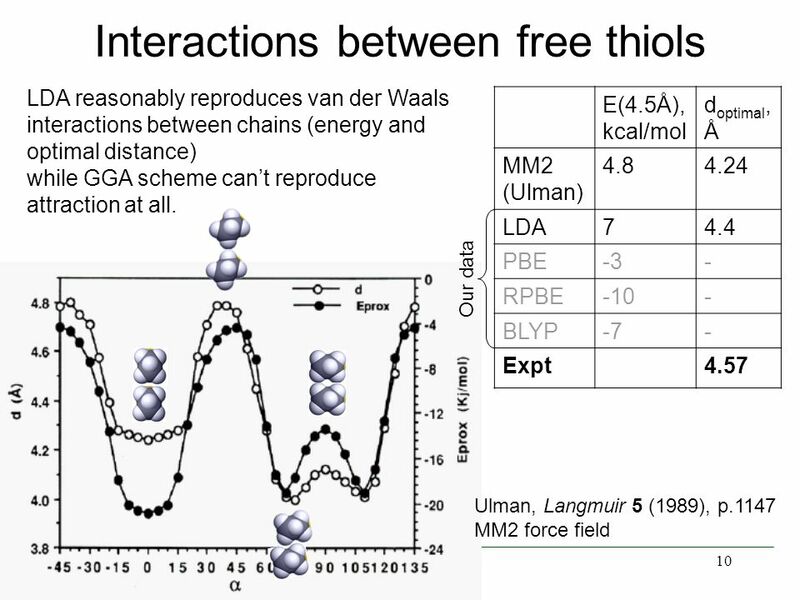 Bonding to surfaces Two classifications distinguished by the magnitude of their enthalpies of adsorption  Physisorption: long-range but weak van der Waals-type. 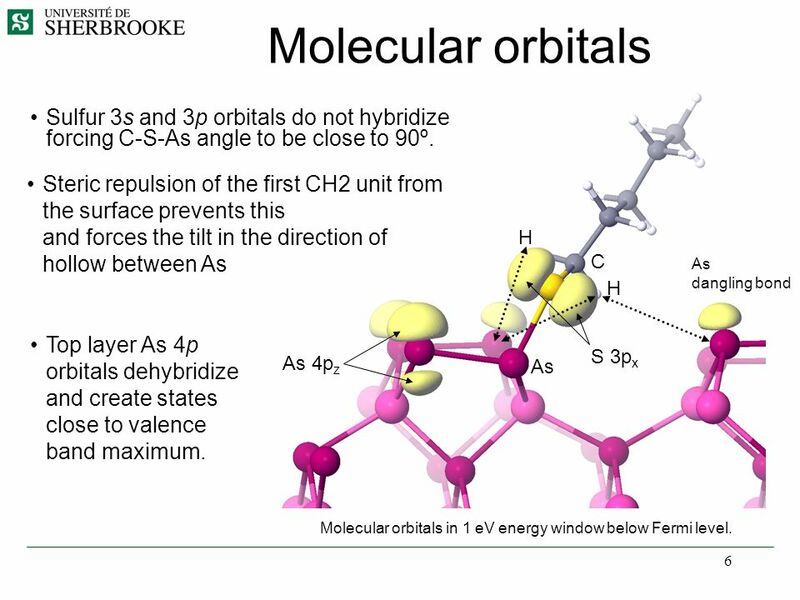 Chemical Bonding II: Molecular Geometry and Hybridization of Atomic Orbitals Chapter 10 Copyright © The McGraw-Hill Companies, Inc. Permission required.